For over 20 years AccessData has delivered digital investigation software solutions to corporations, law enforcement and government agencies around the world. Recognized as an industry leader, AccessData provides court-validated, state-of-the-art computer forensics, eDiscovery and cyber security solutions. 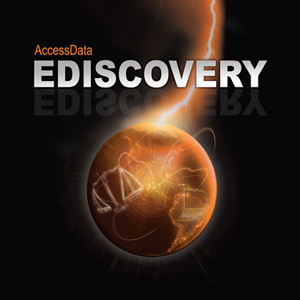 Built on its gold-standard forensics technology, Forensic Toolkit, AD eDiscovery is now the most comprehensive electronic discovery software solution on the market. In addition, AccessData’s legal review technology, Summation, is used by more law firms than any other solution. AccessData’s litigation support technology literally walks users through each phase of the electronic discovery lifecycle, from litigation hold to trial.